Camps challenge a young person on so many levels with all of the activities such as horse riding, archery, kayaking, flying fox, wall and rock climbing, 'overnight survivor', ‘mud run’, water slides, tramping and high rope. But also in being away from home, personal organisation, being part of a group, and stepping out of personal comfort zones. The end result is always a deepening of relationships, friendships and a strengthening of character. Year 3 children enjoy 2 days at Camp Maynard, Albany. Each morning they arrive at camp full of enthusiasm and ready to take on the challenges set for them that day. Camp promotes Physical skill development, Personal/Interpersonal skills, management of personal/group safety, Independence, Persistence and Co-Operation. All skills that can be used in other areas of their lives. They are challenged to take on activities that both scare and delight them. Year 4 students go to Peter Snell Youth Village for their overnight school camp. Among the beautiful scenery the days at camp are full of fun and challenging experiences such as archery, air rifles, rock climbing and paintball, to name a few. Year 5 students get to emerse themselves in Education Outside the Classroom by having an amazing experience at Piha Mill Camp. There is always a lot of anticipation and excitement before the Year 5 camp about the learning and adventure that each child will get to participate in. The overall philosophy of our camp is to foster cooperative learning through encouragement and teamwork. Some of the challenges and fun activities included are the Rock Climbing Wall, Mountain Biking, Burma Trail, Rifles, Archery and the hike up to KiteKite Falls. "Flying foxes, lake challenges, The Mud Run, Year 6 Camp was the biggest Pinehurst Camp success ever. Everyone enjoyed a very muddy, gooey and sticky camp. As for the food, well, it was simply too wizard for words! There were fun games and good places to relax, I think that we were the luckiest people in the world that week." Pinehurst Year 7 students, spend a week down at Narrows Park in Hamilton. They have the opportunity to try their hand at a wide range of experiences, such as kayaking, rock climbing, hiking, caving, swimming, water slides, shooting, paint balling, survival skills, and team building activities. Camp is all about having fun, stepping out of your comfort zone and making friendships, but it’s also about managing self, which is an integral part of Pinehurst's leadership programme. With a 24hr ration pack and armed with topographical maps to find and manage their journey, Year 8 students need to think and act for themselves and their peers. Carrying all their own gear, putting up their tents and cooking their own food are just some of the demands that are placed on the students. The camp has two days of skiing and a day split between whitewater rafting and indoor rock-climbing. The Year 9 "Out There" Camp is designed to build on and enhance essential life skills such as ‘managing self’, resilience and independence as well as working together in a team. The camp is split into 2 sections; half the week spent on land at Ocean’s Beach in Whangarei Heads and the other half of the week spent on water, sailing either North or South through the Hauraki Gulf. The transport for the water section is 2 beautiful 72ft long sailing boats; the Lion (urban assault vehicle) and the Steinlager 2 (big red), both of which sailed around the world and both of which were skippered by Sir Peter Blake. This is a fantastic camp and great experience for the students. Many of the students learn how to build their own shelters, catch their own fish and build their own fires either alone or in a group in a tough and challenging environment. Students will have a clearer understanding of the qualities and skills required in order to work with, and lead other students effectively. They will develop team building skills as they take part in a variety of activities with their peers. Students will also discover more about their own strengths and weaknesses as they challenge themselves to take part in a range of activities, some physically and emotionally demanding. To build and strengthen friendships within the year group. To work as a team to overcome any challenges which present themselves and successfully complete the given task. To take part in a range of activities to gain the skills to form cohesive teams. To develop skills in an outdoor setting and foster a greater appreciation of the dynamic New Zealand environment. The Award was first introduced in the UK back in 1956 by Prince Phillip – with the aim to motivate young people over the age of 14 years old to become involved in a balanced programme of voluntary and self-development activities. In 1963 the Duke of Edinburgh acknowledged the establishment of the Award in New Zealand. Today the award is established in 140 countries worldwide and there are 530 licensed Award centres in NZ, and Pinehurst School is one of these. The Bronze Award is a compulsory component of Year 10 at Pinehurst and in 2017, 28 students gained Bronze, 10 students Silver and 4 students gained Gold. We currently run 2 tramps for Year 10’s – on Waiheke Island and the Pinnacles in the Coromandel. For those students who wish to pursue the Silver and Gold Awards, we run 3-day hikes, again on Waiheke Island and the Waitakere Ranges. And finally, a 5-day Gold Adventurous journey, which this year went to Mt. Taranaki set in the Egmont National Park (usually the last week of November). 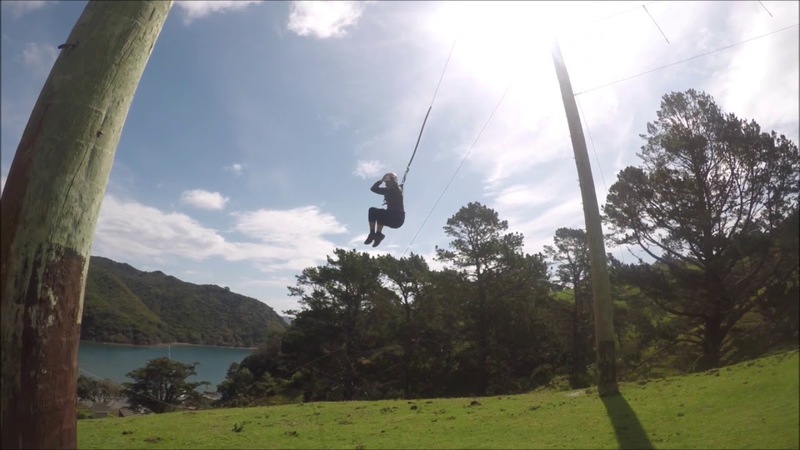 Compromising of 6 days and 5 nights at Karaka Bay, the Hillary Outdoors Great Barrier Camp is a fantastic opportunity for students to experience many challenges in the outdoors. The programme is not prescribed and is tailored to the individual students. Many of the activities on the island are challenging and aimed at bringing the students out of their comfort zones and giving them leadership skills that can be used both at school, the work place and in future life. All groups experience sea kayaking, surf kayaking, tramping, rock climbing, navigating, high-rope courses, bush-whacking and coasteering. To increase tolerance of others with different perspectives and/or strengths and weaknesses.